Today, we suffer from a very limited (and therefore limiting) anthropology. It is an anthropology inherited from the Enlightenment and its reaction to the religious conflicts resulting from the turmoil surrounding the Reformation and Counter-Reformation. Men and women were killing one another in the name of God and therefore Enlightenment thinkers decided to begin a process where we could arrive at a common understanding by, bit by bit, bracketing God and the transcendent out of the equation (here it must be acknowledged that there are many positives that we know and experience from this move – i.e. freedom of conscience, freedom of religion, an understanding of human rights, etc.) but, there are always “unintended consequences” to actions made, and one such consequence to this “bracketing off of God and the transcendent” is a reduced human anthropology. When we bracket off God then we can no longer authentically speak of humanity made in “the image and likeness” of God. St. Augustine, whose feast we celebrate today, lived way before this move and therefore the anthropology found in his writings is much fuller and does not suffer from the limitations we have to deal with. His anthropology is a needed corrective to the impoverished one we have inherited. Below is a quote from the Confessions of Saint Augustine as found in today’s office of readings. Listen to the fullness of anthropology that Augustine expresses. Augustine’s primary move was into the self to find the fullest reflection of God. Yes, all creation reflects God and is His handiwork and witnesses to God’s glory but the human self is the fullest reflection of God’s glory and therefore the best path to encounter God. As Augustine turned inward he did not find an enclosed space, limited and dark with no real connection to the rest of reality; instead he found a space on which shone the very light of God. Augustine’s “depth of the soul” is not a locked panic room but rather an open courtyard where relationship with one another and encounter with the Divine is always possible! St. Augustine, pray for us in our impoverishment! May we learn from your wisdom! I find it interesting to note the reactions of people once they learn that someone is discerning a call to religious life or the priesthood. The reactions are often across the board but there are two extremes that I have seen and even experienced during my own time of discernment. One extreme is totally opposed. It can be heard in such statements as, “How can you think of such a thing!” “You are throwing your life away!” “You are too young!” “I want grandchildren!”. The other extreme is totally “for” – uncritically. In this extreme, people would have the one just beginning to discern either ordained or professing solemn vows tomorrow if they could. Neither extreme is helpful. As is often the case, virtue and wisdom lies in the middle. St. Monica has some specific wisdom to offer parents as they navigate the realities of raising sons and daughters while also learning to let go and let their children be who they are meant to be. Monica, I believe, teaches the value of the perseverance of prayer, trusting God’s will, continually loving ones children and living ones own life vocation. My advice to parents on this feast of St. Monica is that if you want to help your child discern his or her vocation first live your own vocation as a disciple, a spouse and parent. Life vocations are not opposed to one another but in fact support and encourage one another. (My life as a priest is continually strengthened by the witness of men and women living the christian vocation of marriage or witnessing to Christ sometimes boldly in the single life.) 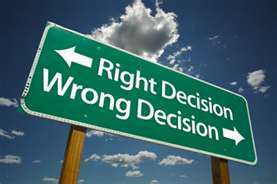 Also, avoid the two extremes neither of which is helpful – virtue lies in the middle. Finally (and really foremost) pray; pray for your children, for yourself as a parent – continually ask for God’s wisdom and guidance as you navigate the realities of living your vocation and being family. Persevere in prayer! Below is video clip found on the U.S. Bishops’ website “For Your Vocation” (http://www.foryourvocation.org/). The clip is an interview with a couple and their role in helping their son discern a vocation to priesthood. 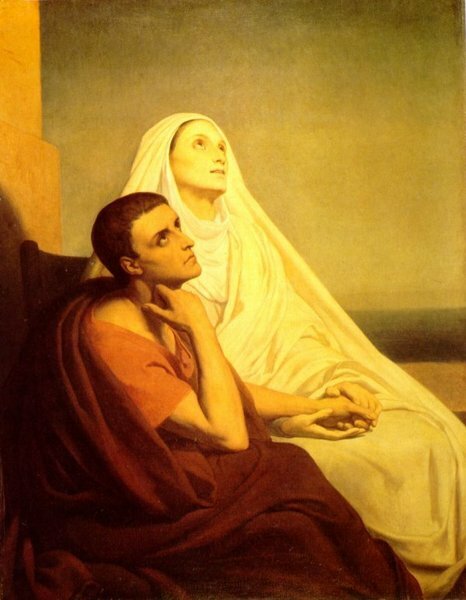 Check it out on this Feast of St. Monica. 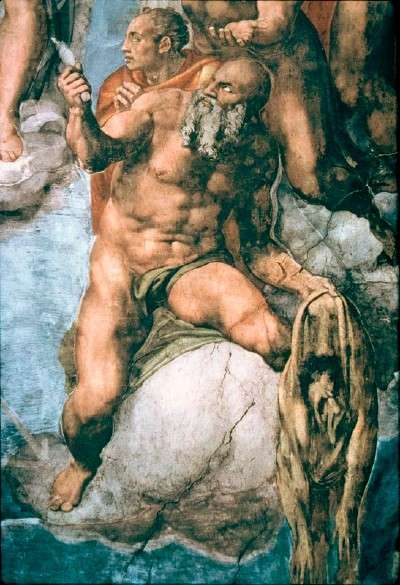 In Michelangelo’s Last Judgement scene painted in the Sistine Chapel there stands a man slightly below and to the right of the triumphant and exalted Christ; the man’s eyes are turned toward Christ as if pleading for justice and in one of his hand’s hangs his own skin. In the other is the instrument of his torture and death. This man is St. Bartholomew. 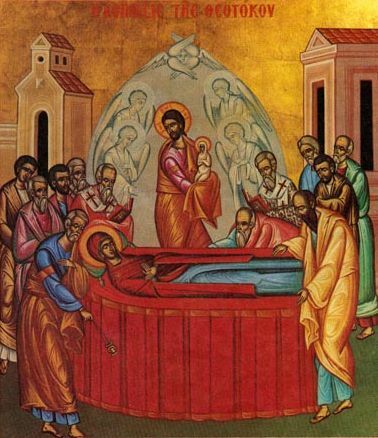 Tradition holds that after Pentecost the apostle Bartholomew journeyed to India and Armenia to preach the gospel and it was there that he was martyred by being skinned alive. St. Bartholomew represents all the martyrs of the faith who suffered and died for their faith in Christ and who cry out for justice and intercede for the pilgrim Church. One of my favorite churches is Rome is the Basilica of St. Bartholomew. The basilica sits on the Tiberine Island in Rome and under its main altar is found the relics of the apostle himself. During his pontificate, John Paul II entrusted the care of this basilica to the Community of Sant’Egidio. It was also at this time that John Paul II had the desire to honor all the Christian martyrs (Catholic, Orthodox and Protestant) of the twentieth century. The Community of Sant’Egidio recognized this desire of the late pope and has made the Basilica of St. Bartholomew a shrine to the “New Martyrs” of the twentieth century. In the side altars of the basilica are found memories of Christian men and women who have given their lives in witness to their faith and in witness to peace and human dignity. A letter of Dieterich Bonhoeffer stands as witness against the brutalities of Nazism. 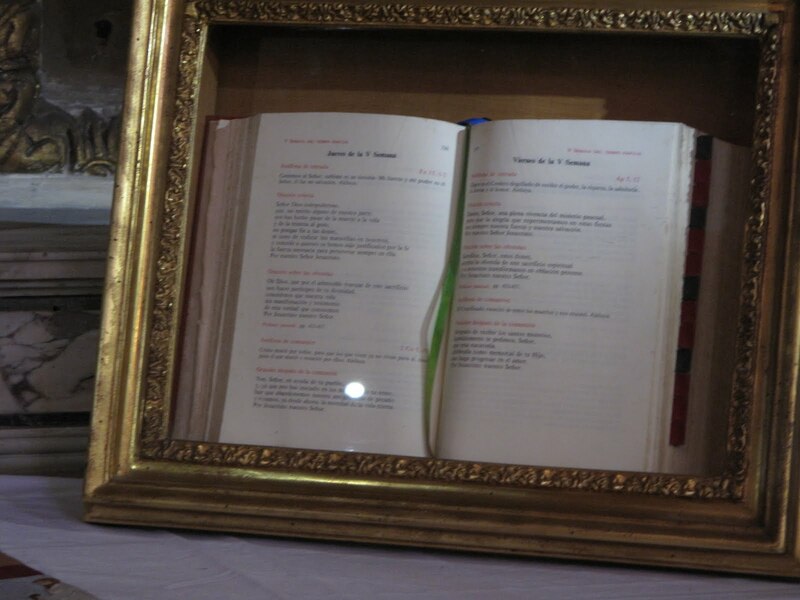 The missal of Archbishop Oscar Romero (see above) sits on one of the side altars as a testimony against political and economic oppression. The Bible of Floribert – a young African customs agent who was killed for not “looking the other way” in order to allow a shipment of rotten rice to enter his country – also stands in testimony against injustice. These are just a few. The memories of men and women (Catholic, Orthodox and Protestant) who lived and died for their faith are housed in this basilica in the heart of Rome. Along with St. Bartholomew, these men and women turn toward Christ the risen Savior and call out for justice and the coming of God’s Kingdom! An interesting note to the Basilica of St. Bartholomew is that before being a site for a Christian basilica this island in the middle of the Tiber River was recognized as a place of healing. A pagan temple stood where now the church does and had within it a well whose waters were believed to contain curative powers. 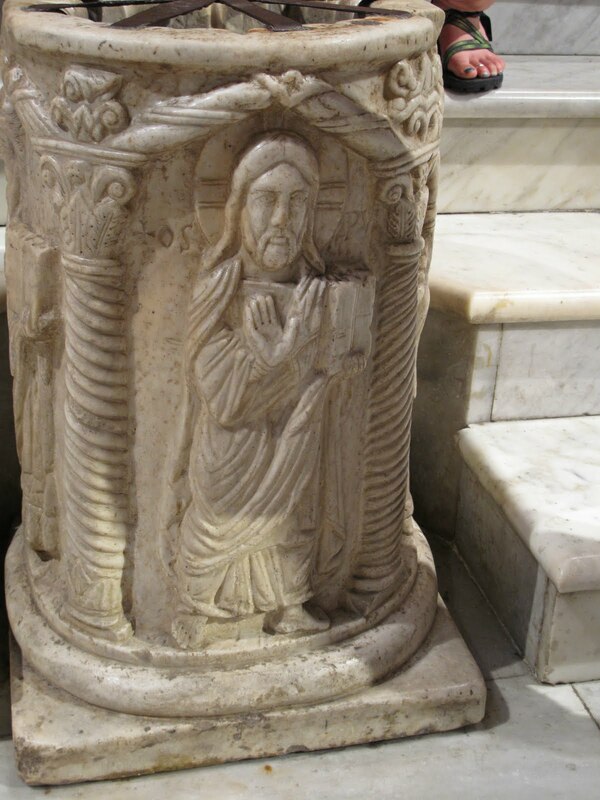 In front of the altar of the basilica now sits the top of this well (see picture). 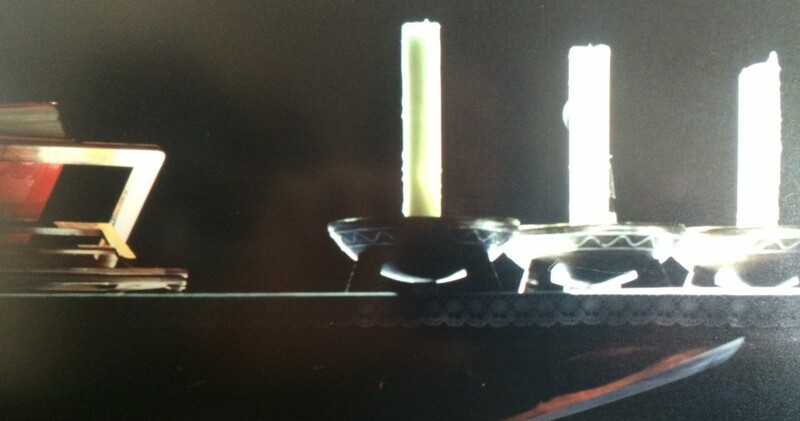 The well is now covered but what a powerful foreshadowing to the fullness of grace which now streams from the altar! From the sacrifice of Christ streams of life-giving and healing waters flow, cleansing us from sin and healing the disunity, injustice and pain of our world. The martyrs stand in full witness to this healing grace of Christ, even as they are struck down they witness to that which is ever greater than the violence and evil of our world – an ever-enduring truth that the world cannot wipe away. The New Martyrs set their lives by the light of the Kingdom of God and whenever men and women live according to the truth of God’s Kingdom (whenever truth and love is chosen over injustice and oppression) healing and authenticity is found and grows – in self, in relationships, in daily encounters and in society. With St. Bartholomew the new martyrs turn toward Christ and cry out for justice. For us, the new martyrs witness to the life-giving truth of the Kingdom of God! Today the Church celebrates the feast of St. Bartholomew. Bartholomew is one of the twelve apostles. 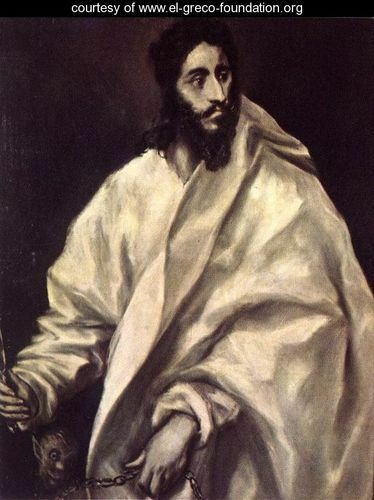 He is originally from Cana in Galilee and in the Gospel of John he is identified with the name Nathanael (meaning gift of God). Bartholomew’s first encounter with Jesus is recorded in John 1:43-51 and we see that it is an encounter that proves decisive for Bartholomew – he changes his life, leaves all he knows and follows Jesus. We see this response again and again throughout the gospels. The encounter with Jesus changes things. This living encounter is at the heart of discipleship and at the heart of vocation and it is extremely important to note that this encounter is with a person – not an idea or a theory or story or an interesting worldview or philosophy – but a person, the very person of Jesus Christ. Discipleship and vocation must be rooted in our continuing encounter with Jesus Christ – the one who once was dead but who now lives! It is just as true today for us as it was for the original twelve and the call is just as deep, just as needed in our world and just as life-giving! As I enter into my new role as Vocation Director for our diocese I am doing my homework and part of this is reading, studying and reflecting on the fifth edition of The Program of Priestly Formation of the United States Conference of Catholic Bishops. In the introduction of the PPF we find these words, “Priestly formation today continues the call of Jesus, the response of his first disciples, and their communion of life. The Gospel foundation (emphasis mine) of priestly formation precedes programs, structures and plans. What was vital and essential for that first community of disciples remains so today…” What remains vital today and everyday is the encounter with Christ and the willingness, on our part, to enter into this encounter and to trust it. This encounter is the Gospel foundation which precedes all else. 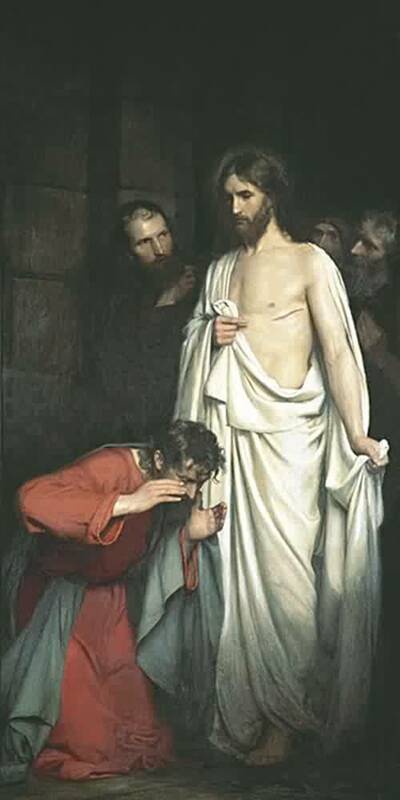 It is important to note in John’s first chapter that it is Philip who first goes to get Bartholomew, “We have found the one that Moses wrote about in the Law, and the prophets as well: he is Jesus, son of Joseph, from Nazareth.” Bartholomew then chose to accompany Philip back in order to see for himself – even if he was a bit skeptical at first. This willingness to go and see is key to the life of discipleship and discerning vocation! Take the time to go and see! Yes, there probably are a hundred other things that could also be done. Yes, in the eyes of the world, it might seem a foolish waste of time. Yes, probably others will not understand. Yes, it will mean trusting and the risk of being disappointed. But … take the time to go and see anyway! Take the time to encounter Christ and let him speak to your heart! I actually have some time off for vacation so I am going to head over the mountains and meander around North Carolina for a few days. To cover the blog while I am away I am posting the vocal stylings of Van Morrison, whom I am convinced is a mystic. Enjoy! 1. “Follow your nose” or, in other words, “Follow your joy”. The olfactory sense of dogs far surpasses that of humans. Dogs love to smell things and Bailey and Maxine are no exception to this. They will stop at every bush, tree, blade of grass and scent of other dogs all along our route. They will stop, bury in their nose and inhale to a full contentment (tails wagging full force) and if I am pulling on them to continue our walk they will lock down until they have had enough. Much more so than humans, dogs let their noses lead them and they trust in the guidance of their olfactory sense. In the spiritual life it is helpful for us to mark and take note of our experiences of joy. True joy (distinct from happiness which is fleeting by nature) is that deep contentment of soul which cannot be contrived nor manipulated. It can even be present in times of difficulty and struggle. Joy witnesses to the presence of God and wherever God is, there will be found fulfillment. Follow your nose. Trust the guidance of your sense of joy. 2. “Thank God for the yanked leash” or, in other words, “There but for God’s grace go I”. The other day I was walking Bailey when up ahead of us along the sidewalk I noticed a large cat crouched against a short wall with eyes pinned on my dog. 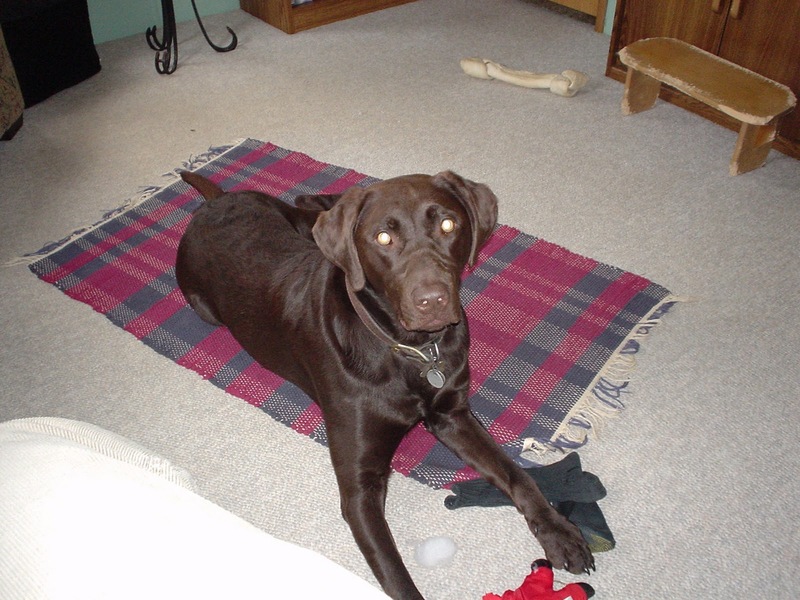 Bailey – great hunter that he is – was oblivious. The dog had no clue that this cat was ahead, that it was a cat that, by all looks, meant business and was not going to be chased off by any dog! This feline was going to stand its ground! I yanked on Bailey’s leash and made a wide berth around the cat. Bailey was surprised by the yank and only after we had passed the cat did he notice the feline glaring at him and obstructing our way. Bailey did not see the cat but I did. Isn’t it so true in life that we can be heading down the road thinking we know it all and that we are in control; when in fact we are completely oblivious and do not see what awaits us ahead nor what we are getting ourselves into. But God sees … and sometimes He yanks the leash! Thank God! We may grumble at first and be frustrated with the perceived inconvenience at the moment but in hindsight we get the full picture. There but for God’s grace … thank God for the yanked leash! 3. “Now. Here.” Dogs have no sense of time, at least they don’t mark time as we humans do. Nor do they seem real concerned about places beyond their immediate location. For dogs all that matters is now and here. Pretty simple. When Moses asked for the name of God the Lord responded with, “I am who am.” God is just as present now as He is at any other time. God is just as present here as He is anywhere else. And, in the end, this is all that really matters. God is present; we are the ones who, more often than not, are absent. Now and here – two good spiritual commands. 4. “Wag your tail at other dogs.” Bailey is good at this. Maxine … well, she is still working at it. 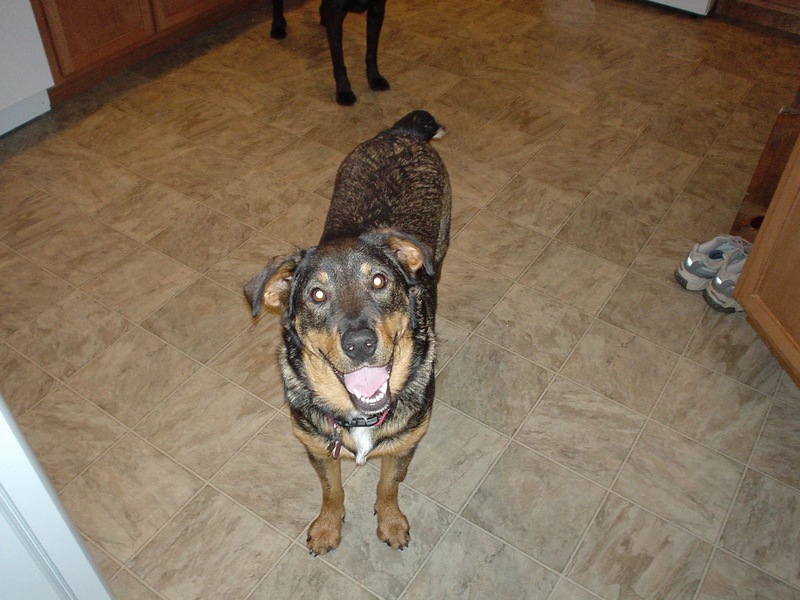 The wagged tail is the sign of friendship and respect – the other dog is accepted and welcomed. The courage to welcome, to show hospitality to, and to respect the other person (even if he or she is different) is an important spiritual discipline which (more than the multiplication of words) witnesses to the true reality of ones spiritual life. My experience has taught me that the ability to welcome the other who is without grows as the fear within is lessened. We read in 1 John, “Perfect love casts out all fear.” Truth be told, Bailey finds it natural to wag his tail because he has been loved since he was a pup. I have loved him. Maxine was rescued from a pound and, I think, not loved so much until now … and it is taking time. But she is making progress. We walked by two dogs today and she did not even growl once! I gave her a big hug afterwards! Wag your tail … and if it is hard to, remember that you are loved by God with a perfect love. 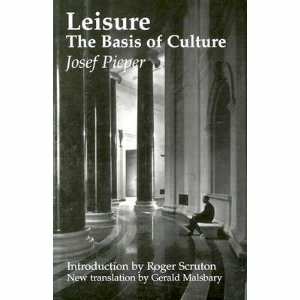 I have decided to lead a reading/discussion group on Pieper’s sixty page essay, Leisure: The Basis of Culture this fall semester at the Catholic Center as part of our faith formation opportunities. This essay, I believe, can change the way one views the world and how one lives life. In this essay, Pieper offers an important commentary and corrective to trends present in our current cultural climate and a needed voice that our young people, especially, need to hear. I believe that this essay is also valuable for anyone who is open to discerning God’s call in life. In fact I highly recommend it. Of specific importance is Pieper’s distinction (gained from ancient and medieval philosophy) between ratio and intellectus. Ratio (Pieper points out) is the “power of discursive thought” – it is intellectual work, what we can deduce and arrive at by our own power and effort. Ratio is important, through the effort of human intellect we have achieved and continue to achieve much but ratio is not the only game in town. Intellectus is also a form of knowing. Intellectus “refers to the ability of ‘simply looking’ to which the truth presents itself as a landscape presents itself to the eye.” Intellectus can be described as, “Listening-in to the being of things.” The crux of the problem, which Pieper points out, is that in our modern world, for a variety of reasons, we have reduced all forms of knowing to ratio and, in the process, have shuffled intellectus to the fringes if not to out-right disdainment. Thomas Merton once observed that American society is a society that is neither conducive to nor encouraging of the contemplative life. I would agree and I would also say that if we are anything we are a nation of engineers – we like to figure things out and we are pretty darn good at it. But “full knowing” is both ratio and intellectus. An over-emphasis on either one without the other limits us, limits life and limits society. In discerning God’s movement in life do the work but also learn how to listen-in to the being of things – ratio and intellectus. The Feast of the Assumption of Mary is my favorite Marian feast! 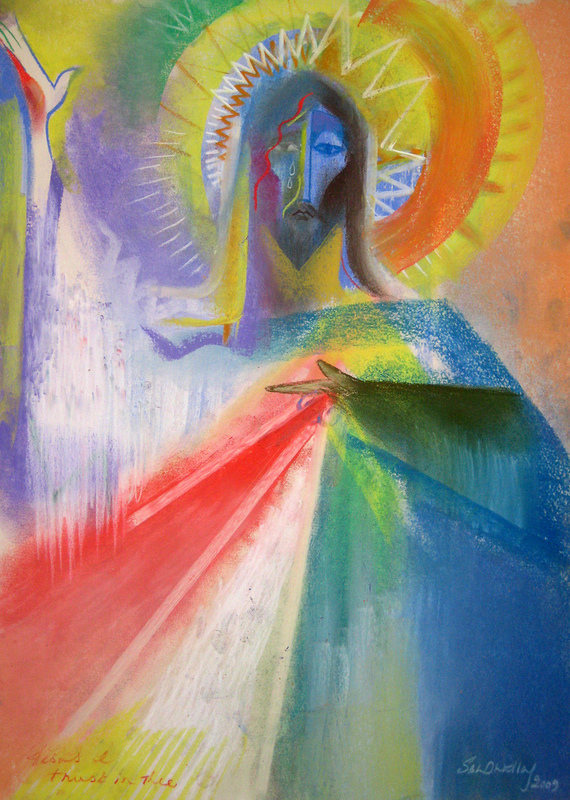 It is a holy mystery full of beauty and hope for all followers of Christ. Below are some thoughts by Bishop Vincenzo Paglia concerning today’s feast. Mary, most holy, we turn to you who dwell body and soul in the eternal presence of our Lord and Savior Jesus Christ and in the fullness of God who is Father, Son and Holy Spirit. Please pray for the Church, pray for us as we make our pilgrim way. Please pray for our diocese of Knoxville, our Bishop Richard Stika, all members of our diocese, all our priests, deacons, religious and seminarians. Please pray for our young people that they too will strive, through grace, for the glory of that “complete person” who reflects the very glory of God. Please pray that they will be open to God’s call for them and the true fulfillment that can only be known in saying “yes” to God as you, yourself, did. Today the Muslim world begins the month of Ramadan. This is a time of fasting, prayer, purification and spiritual discipline carried out in order to express gratitude for God’s guidance and also to atone for past sins. During this month it is recommended that each Muslim read the entire Quran. One of the highlights for me last year in our ministry here at the Catholic Center was when we invited the Muslim Student Association to join us one Wednesday evening for dinner. This was near the end of the fall semester. Then, in return, the MSA invited us to a dinner in the spring semester at the local Muslim community center. A friendship has begun between our two groups that I hope will continue to grow and even become stronger. During our visit to the Muslim community center we were welcomed to witness as the community gathered for one of their prescribed times of prayer. Watching the men kneel and prostrate themselves in prayer I could not help but be struck by their sincere reverence for God. So, to my friends in the MSA I say, “As Salaam Alaikum” (“Peace be Upon You”) as you begin this holy season of Ramadan and I pray God’s blessings for you! It is also fitting, I believe, on this day to reflect on the Church’s teaching found in Nostra Aetate (Declaration on the Relation of the Church to Non-Christian Religions) from the Second Vatican Council. 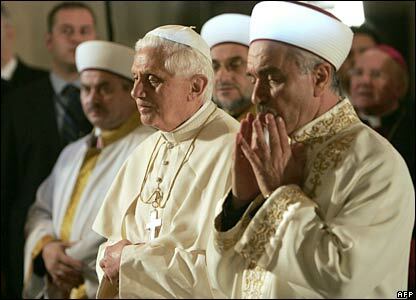 The Church has also a high regard for the Muslims. They worship God, who is one, living and subsistent, merciful and almighty, the Creator of heaven and earth, who has also spoken to men. They strive to submit themselves without reserve to the hidden decrees of God, just as Abraham submitted himself to God’s plan, to whose faith Muslims eagerly link their own. Although not acknowledging him as God, they venerate Jesus as a prophet, his virgin Mother they also honor, and even at times devoutly invoke. Further, they await the day of judgment and the reward of God following the resurrection of the dead. For this reason they highly esteem an upright life and worship God, especially by way of prayer, alms-deeds and fasting.